It has been a while since I have driven a manual. The last time I drove a manual car was on my way back from Burning Man through the winding roads of the Rocky Mountains, in a turbo charged Golf, hauling the largest U-Haul trailer we could find. It was a thrilling ride and indeed something I have been reminiscing about. There seems to be less and less manual offerings by car manufacturers nowadays. 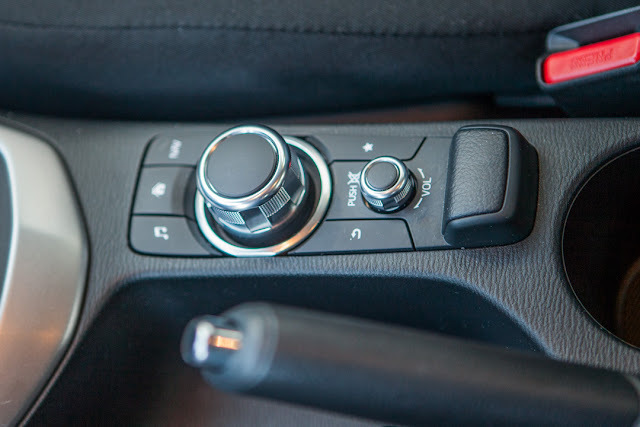 I can't help by wonder, with all the manumatic shifters and automatic dual clutch transmissions, is there still a place for manual vehicles? 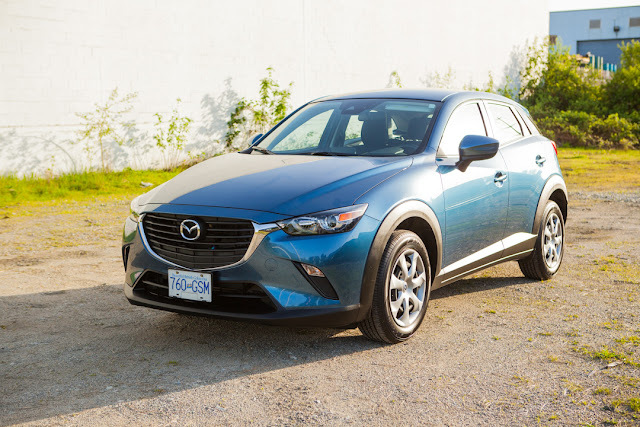 This was what I set to find out test driving the 2018 CX-3 GX, courtesy of Mazda Canada. It is the base trim and also the only trim that offers a manual transmission. On the other hand, I was also keen to see Mazda's take on the currently red hot subcompact crossover segment. Mazda, with its signature Kodo "Soul of Motion" design language, once again delivered a great looking car. 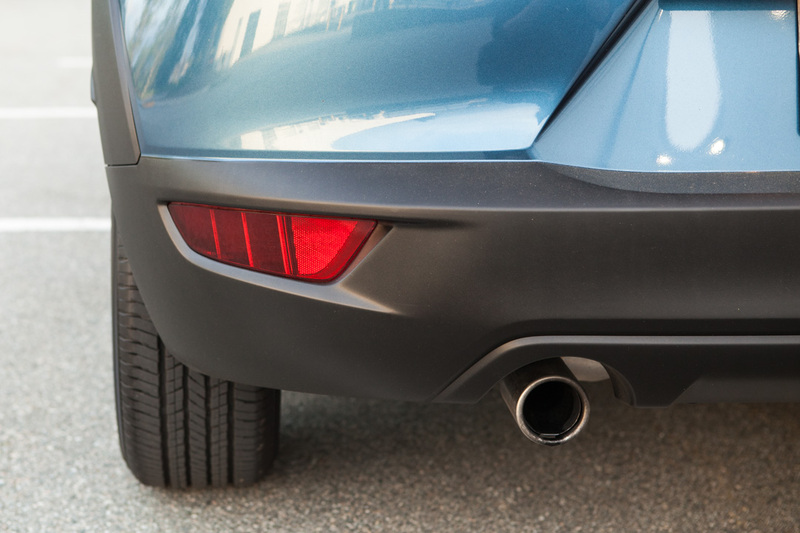 The long nose and short tail make the CX-3 look sporty and aggressive. The front fascia of the car bears Mazda's signature grill which is now consistent throughout the entire lineup. Both the head and tail lights are lean and sloped slightly upward, giving the car an upbeat athletic look. The beefy wheel arc transitions seamlessly into the shoulder line, which intersects with the rear wheel arc, forming a X pattern right in the middle of the side profile. It is visually stunning and requires great precision and craftsmanship to pull off. 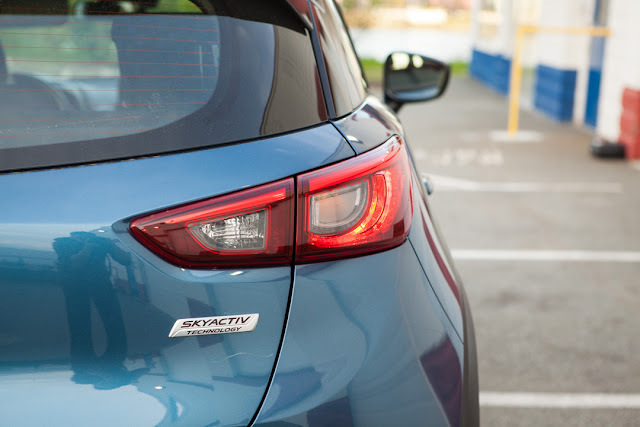 The interplay of these accent lines creates strikingly different looks of the car in different lights. Clever use of black plastic cladding on the wheel arches and the body sills makes the car look both taller and more rugged. It also makes the 16in diameter tires, that comes standard with the GX trim, look larger than they are. The design of the 16in rims is not my favorite, but it is perfectly acceptable for a sub $20,000 car. 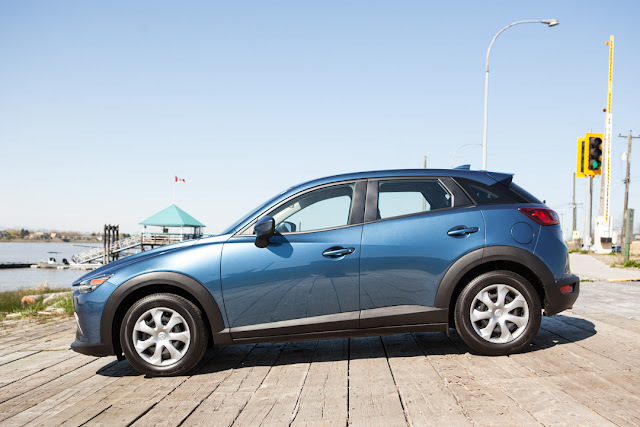 The Mazda CX-3 is based on the platform of the Mazda 2. The ground clearance is raised only slightly from 5.5" to 6.1". However, through smart designs, Mazda manages to make the CX-3 look more like a taller crossover. It is a great looking car that appears much more expensive than the price tag. The interior of the CX-3 is a mixed bag for me. On the plus side, the layout is clean, sporty, and smart. I love how the middle air vent blends in with the long decorative line on the dash trim. I wish they had done that for the other air vents as well. 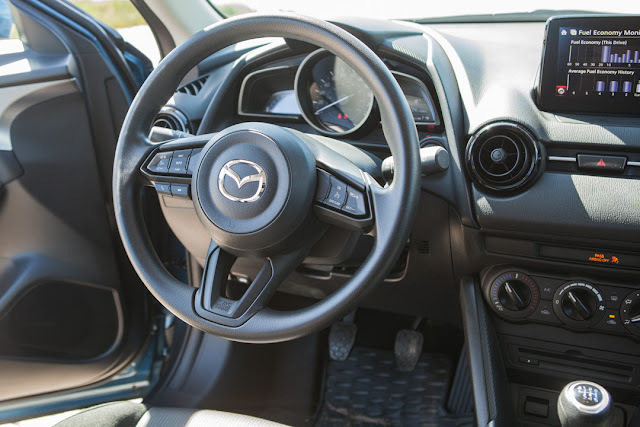 The adjustable tilt and telescopic steering wheel makes finding a perfect driving position easy, which is especially important for driving a manual car. The redesigned steering wheel with its hexagonal shaped buttons matches the sporty interior of the car. I like the new instrumental panel layout. It is simple and intuitive. 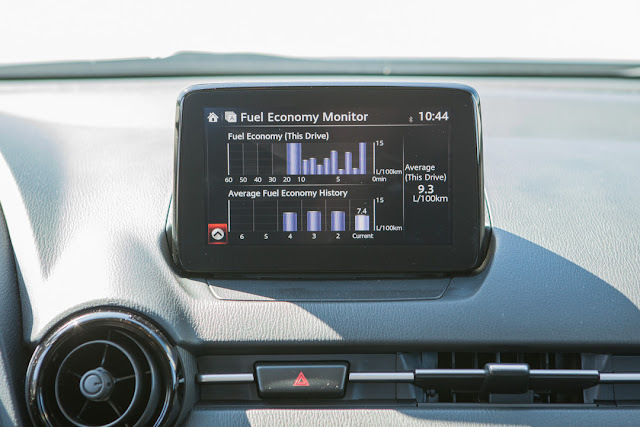 Mazda also improved the display quality for higher contrast and wider viewing angles. 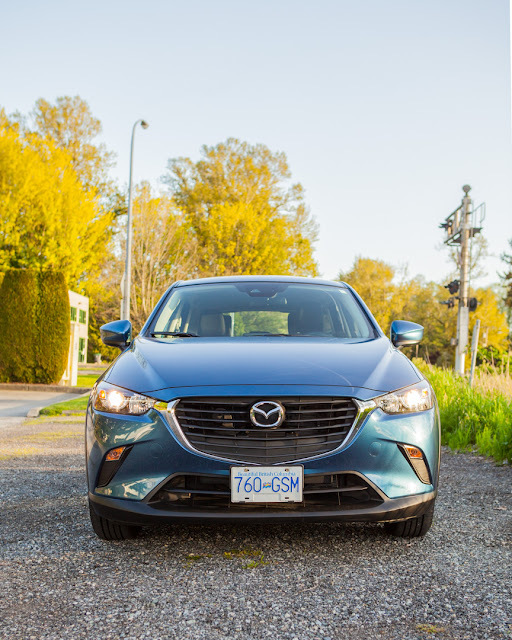 You wouldn't expect much soft-touch material in the car at this price range, but Mazda does a good job of making the textured hard plastics look more costly. The cabin is relatively quiet thanks to additional sound-deadening materials, thicker windows, and improved door seals for the 2018 model. On the minus side, I find the driver seat does not provide enough lumbar and lateral support. On top of that, there is no arm rest. The lack of arm rest means that when I was driving with one hand, I had to either keep my right hand awkwardly on my thigh or resting it on the shifter (which is bad for the gear box). 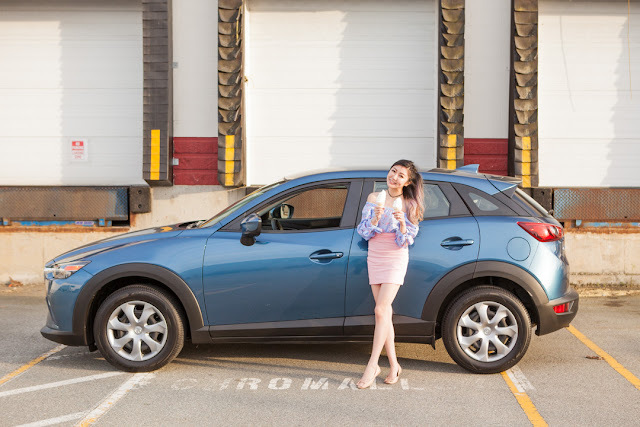 Because the CX-3 is based on the petite Mazda 2 (think Toyota Yaris iA, which is essentially the sedan version of the same car), the interior space is limited. There isn't much legroom for rear passengers. 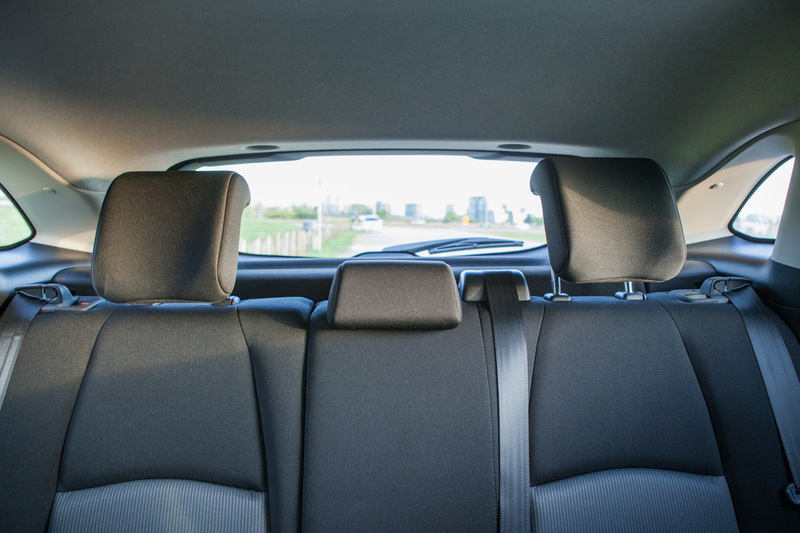 The raising belt line and thick roof pillars also mean that the rear passenger windows are high and the openings are small. 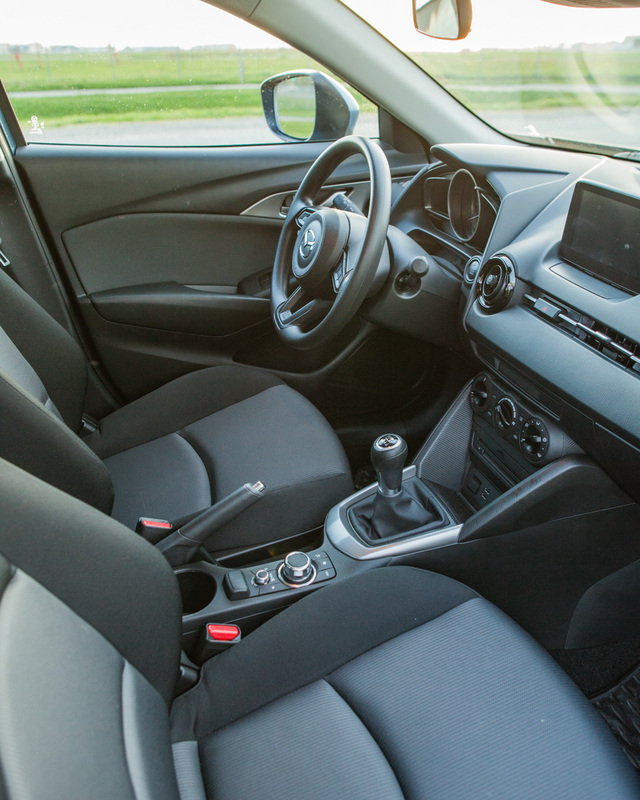 I would say the rear cabin of the CX-3 is not a comfortable place to be for taller passengers on longer drives. 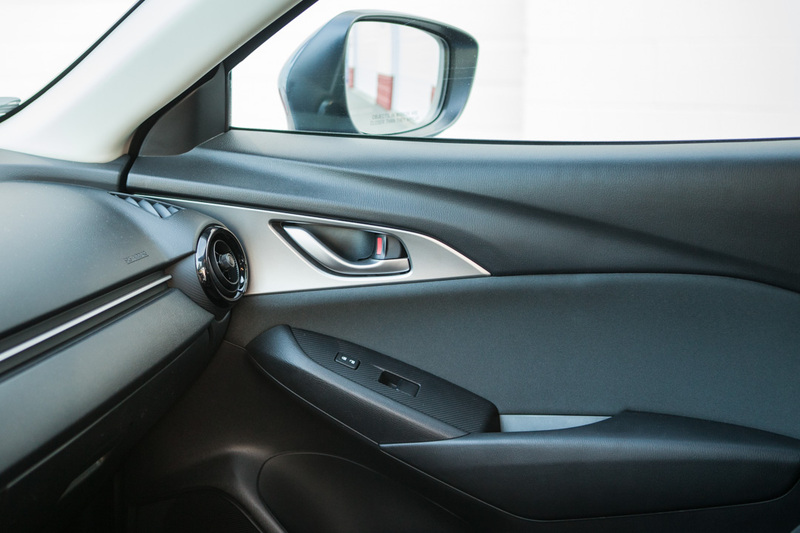 The CX-3 is equipped with a standard 7" touchscreen and a rotary-knob controller on the center console. The display is clear with good contrast even for a sunny day, but I find the rotary-knob controller position to be slightly awkward to reach. 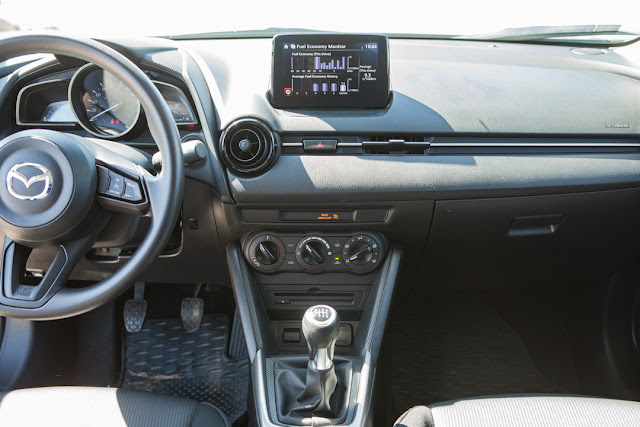 The infotainment software is simple and intuitive, however, it does require you to enter sub menus to change some simple things like entering a radio tuner at times. 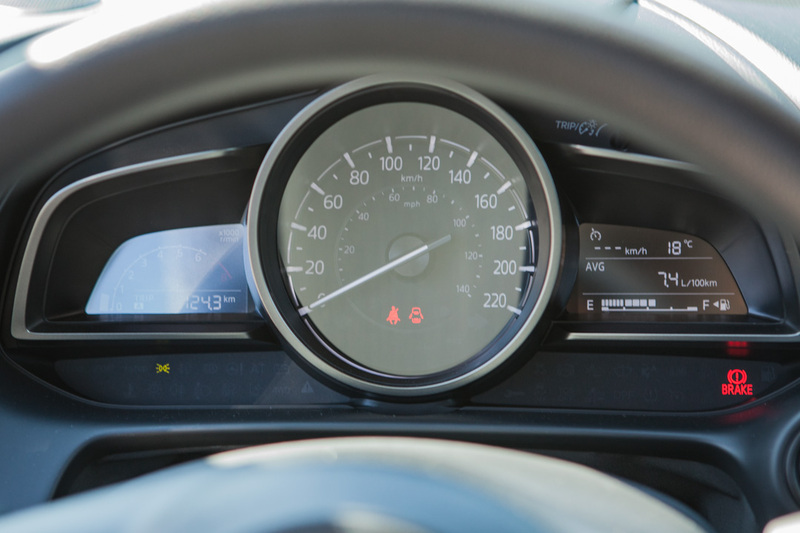 There is no Android Auto or Apple Carplay, and after test driving a few Hyundai vehicles, I find the response time of the Mazda infotainment system to be slow in comparison. Mazda has not changed their infotainment system for a few years now, and I think it is time for them to up their games in this department. It also earns 5 star safety rating from NHTSA and Top Safety Pick+ from IIHS. Suffice it to say, it is a car that will keep its passengers safe in most situations. 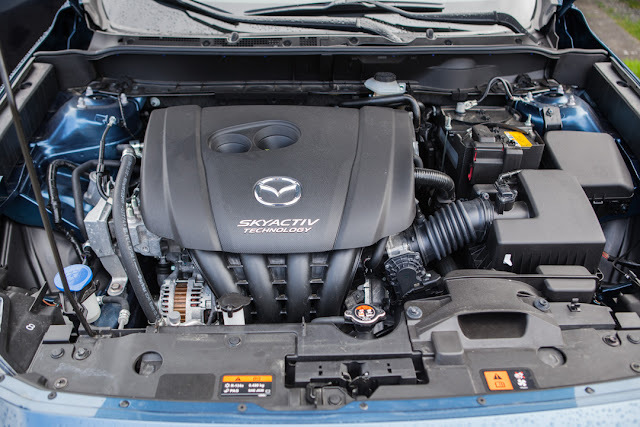 This is where the CX-3 GX with its SKYACTIV-MT 6-speed manual transmission shines. Its Skyactive G 2.0L 4 cylinder engine produces a humble 146 hp at 6000 rpm and 146 torque at 2800. However, coupled with the excellent 6-speed manual transmission, this rev-happy engine proofs more than adequate for a fun and spirited drive. Clutch effort is light and predictable, the shifter position is excellent and the gearbox itself is tuned to near perfection. This drivetrain combination is such a joy to use that probably results in a whole lot of unnecessary shifts on our test drives. Not only is the drivetrain impressive, the steering is also excellent. Mazda has tweaked the suspension of the 2018 CX-3 and added G-Vectoring Control. This reduces engine power when entering a turn, and shifts the weight of the car forward for a more stable cornering experience. It is not something I could notice in the work, but boy was it fun to drive this car on a winding road. The extra ride height did not upset the balance of the car, and a lively chassis coupled with firm suspension means that the body roll is well controlled. That same suspension can be a bit too firm for rougher roads. Also, the driver seat with its lack of lateral support takes a little bit of the fun out of the otherwise splendid driving experience. Overall, this is a car that reminds me how much fun it is to drive a manual. A flawless shift brings that much more satisfaction to the driving experience. On top of that, the CX-3 it is great on gas. We averaged an excellent 7.4L/100km fuel economy rating through our vigorous drives. The tester before us averaged an impressive 9.3L/100km fuel economy rating. I can only imagine how much fun they were having. 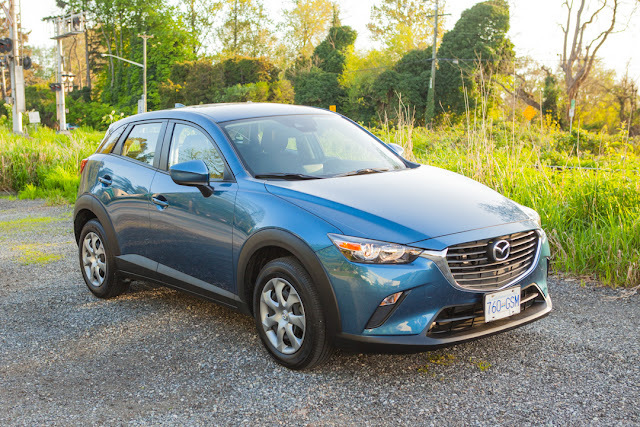 This is not a strong suit of the CX-3. There is no storage space at the center console to keep essential small items out of sight, and I could barely find a place to store my Galaxy S6 other than in the side pockets. 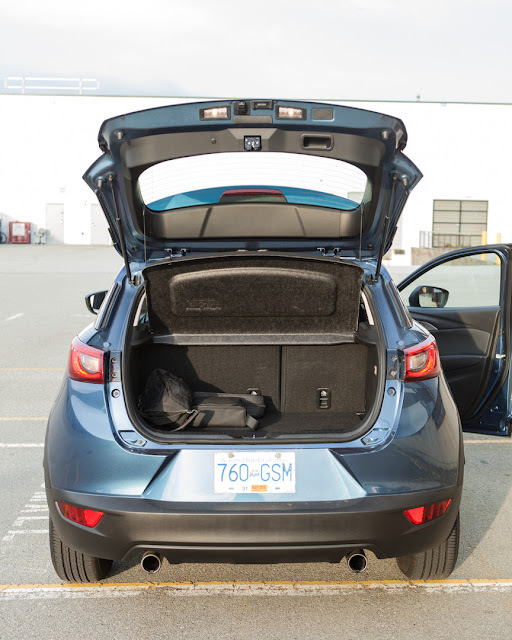 There is 12 cu ft of cargo space behind rear seats, which is only half that of its rival, the Honda HR-V. Thankfully both seats can be folded down to increase the cargo space to 45 cu ft. The trunk bed is also on the high side, making loading heavy objects a challenge. If you are looking for an ultra piratical car, there are better options out there. 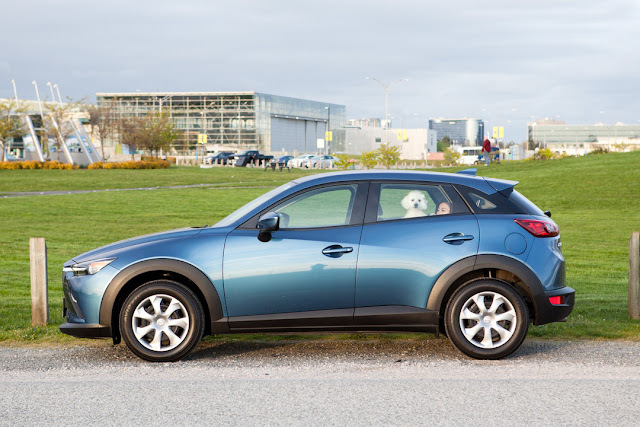 Whether the 2018 Mazda CX-3 is suitable for you depends on how much you value fun and good look over practicality. The lack of practical storage solutions means that it may not be the best choice for families or serious campers. On the other hand, it is great looking inside and out. 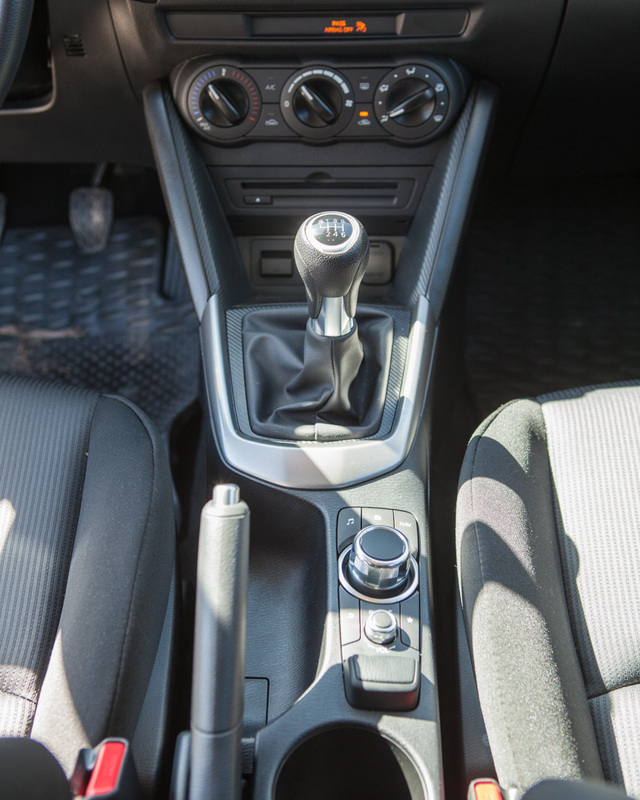 With the excellent 6 speed manual transmission, it is also a lot of fun to drive. It is safe, good on gas, and comes equipped with many standard safety features. For people that value great driving experience and handsome look, it is hard pressed to find a better deal than the CX-3 in the subcompact crossover segment.